I’m always a little hesitant to try crockpot recipe that involved pasta. Sometimes, if you cook the pasta too long, it can get a little funky. However, after a long day of running errands on Sunday, I knew that we would love to have a crockpot recipe that was ready whenever we were. I came across this recipe for Crockpot Ziti on my one of my favorite blogs, Finding Joy in My Kitchen, and decided to give it a try. SnoWhite, the blogger behind Finding Joy in My Kitchen, has never let me down before, so I know that if she said it was good, then I could trust that it was! This recipe turned out great! 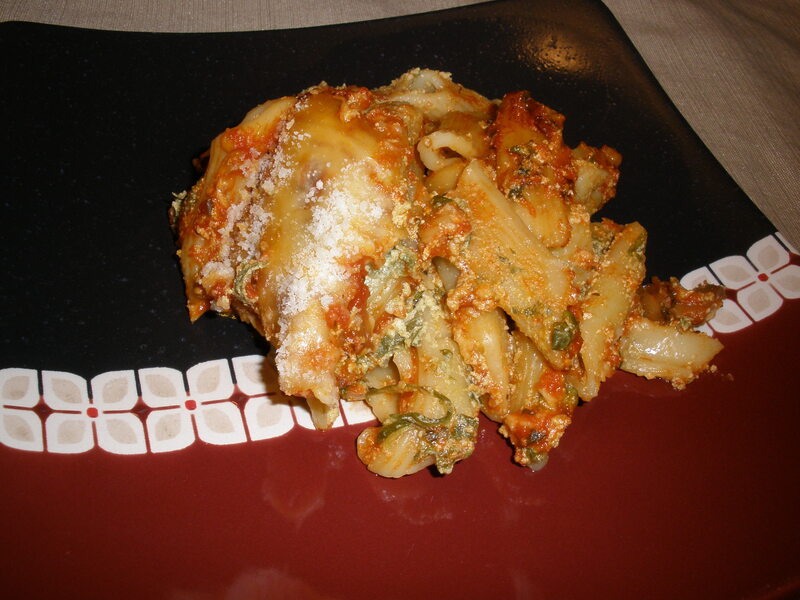 There definitely wasn’t anything funky with the pasta, and it was so nice to have an easy recipe ready and waiting for us in the crockpot. I’ll definitely make this recipe again! Place the cottage cheese in a blender and puree until smooth. Then, add in the spinach and blend. Spread 1/2 cup of spaghetti sauce on the bottom of a lightly greased crockpot. Top with a few noodles. 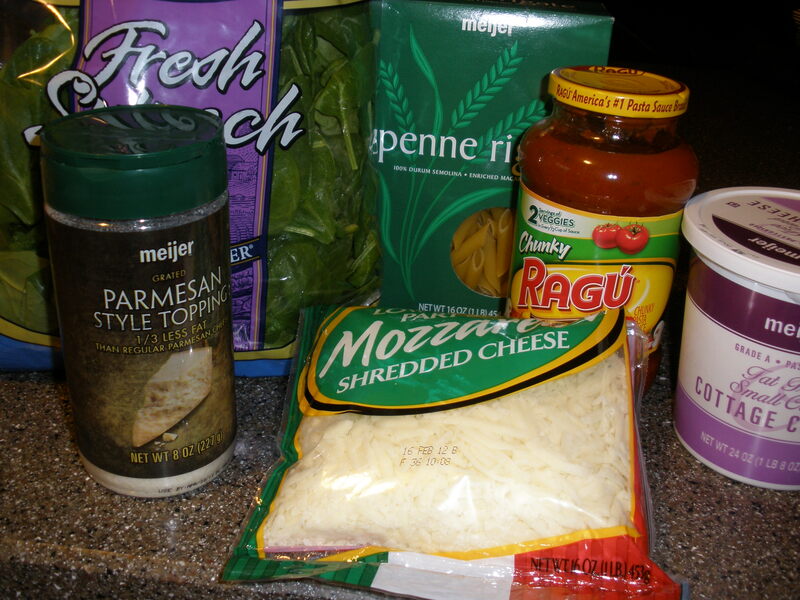 Then, spread about 1/3 of the spinach/cheese mixture over the top of the noodles. Sprinkle on some shredded mozzarella, then add more sauce and repeat the layers. I repeated the layers 3 times. End with spaghetti sauce on the top and cover with cheese. Cook on low for 4-6 hours. Just before serving, top with Parmesan cheese and allow the cheese to melt. Enjoy! Serves 4–5. I used a 3 1/2 qt. crockpot for this recipe. For step-by-step pictures, visit Finding Joy in My Kitchen.